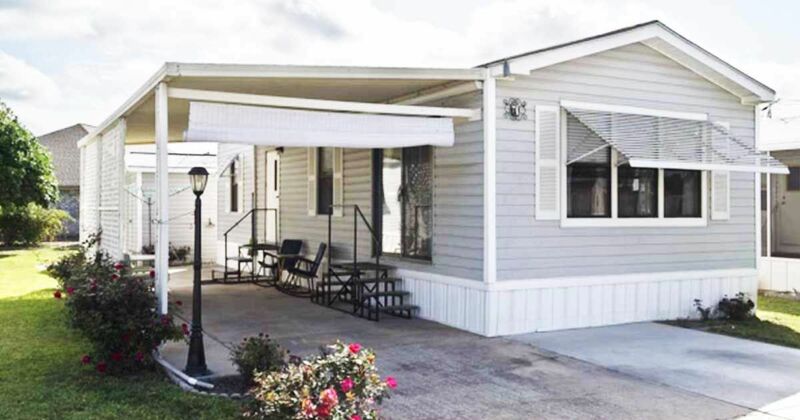 Seven Oaks Resort in the beautiful Rio Grande Valley is stocked full of luxurious park models. Each unit is more surprising than the next, and no park model is exactly the same as the next. It's that bit of variety that keeps bringing us back to this wonderful location. Unit #7 is an extra-wide model that has just a hint of Western interior design. Aside from the obvious rustic elements, the general flavor is that of modern design with a hint of Edwardian décor. 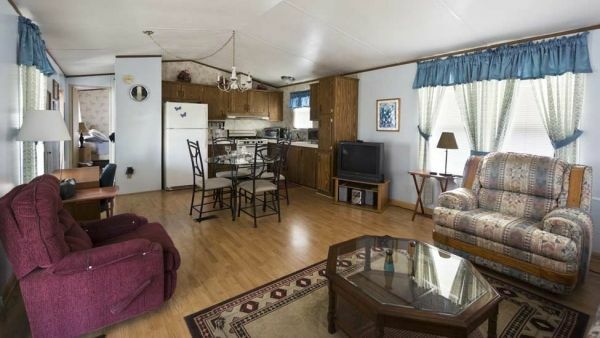 You'll be able to relax and let the stress fall away when you enter this luxury park model. Hardwood floors can be found throughout the unit. The living room, which is just inside one of the entrances, has plush, deep-seated cushions on sturdy wooden furniture. 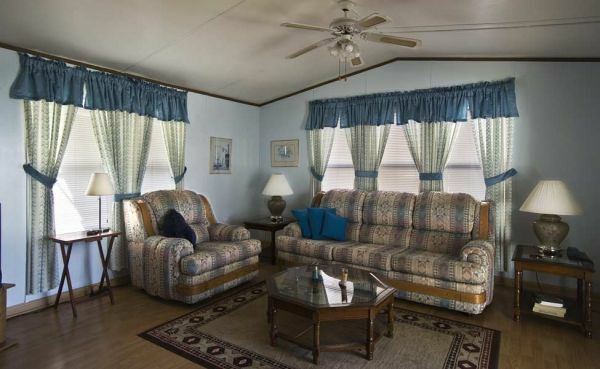 The curtains make this room look like something you'd find in a palace rather than a park model. Although the kitchen doesn't have an island, the open plan creates one large room with plenty of space for dining. You could always use the kitchen table as an island if you're short on counter space. You won't have to visit a clubhouse in order to do your laundry. 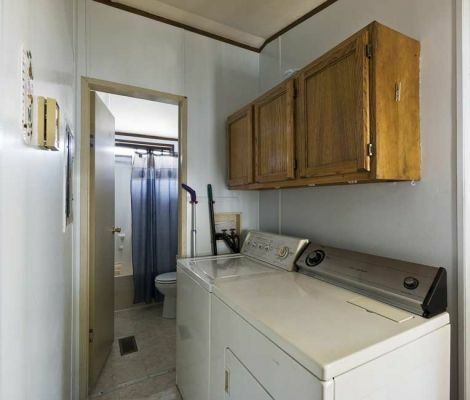 A washer and dryer sit just outside the bathroom, and the cupboards above let you store laundry and bathroom supplies. 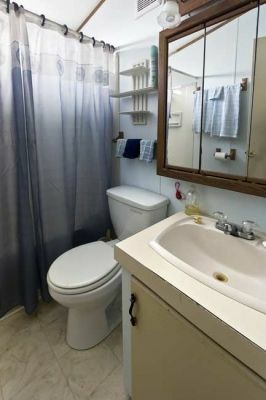 The bathroom itself includes a stand-up shower and a modestly-sized sink. Can you believe your eyes? This bedroom is straight out of a fairytale. 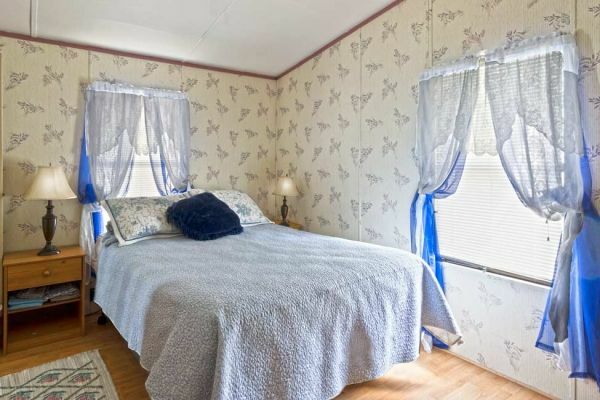 Delicate wall patterns and shimmering blue curtains reflect light all around the room. An afternoon spent here, napping as a gentle breeze flutters in through the window, is what vacationing is all about! If you loved this park model, make sure to share it with your family and friends on Facebook and Twitter. Like our Park Model World Facebook page to see more fantastic models.